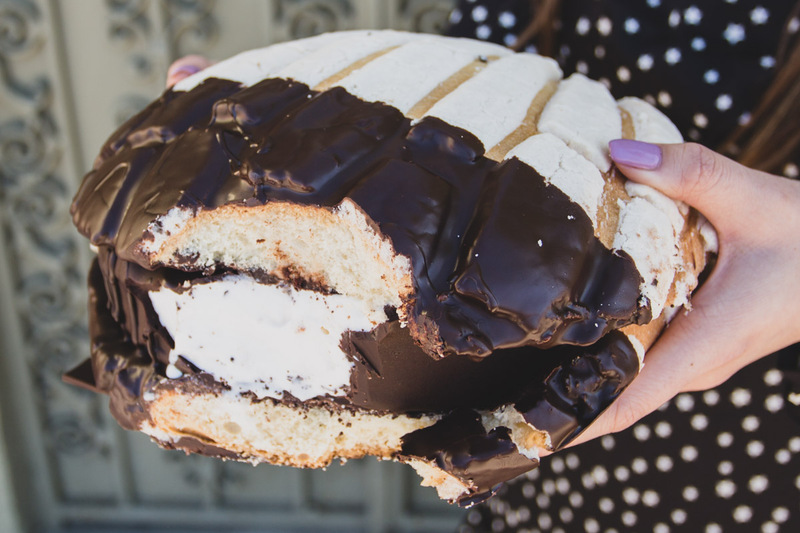 Created by Azules Coffee in Anaheim, CA, they make a gigantic version of the iconic sweet bread, stick a quart of ice cream in the middle, and then dunk the entire “sandwich” into a luscious quarter-pound layer of chocolate. The result is a hefty concha ice cream cake that’s 10 times the size of your standard concha. It can be enjoyed by the slice, or, if you’re so inclined, as an actual mega-sandwich. Azules Coffee has plenty of Mexican-inspired desserts they create on top of the concha cake. 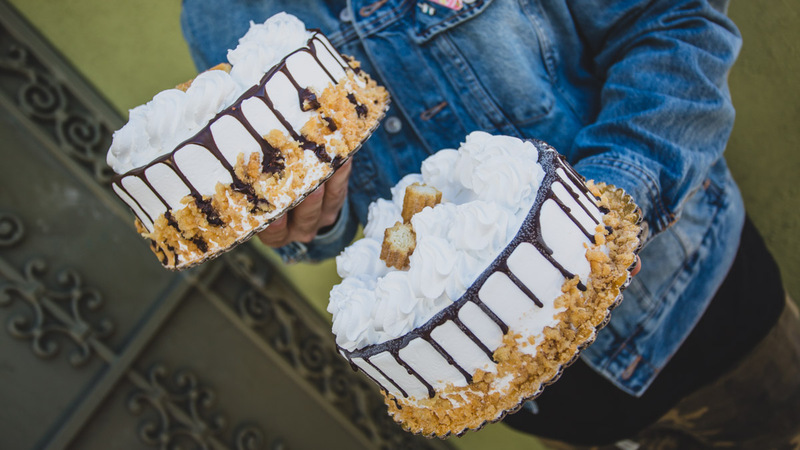 One of their signatures is the churro cake, made with horchata ice cream on the inside and decorated with churro crumbs. One of the best ways to enjoy it is by using an additional churro to scoop up the whipped cream and any melted ice cream. You can find the churro cakes in-shop and the giant concha “sandwich” cake are available by pre-order.